This guidebook contains 40 walking routes on the Isle of Man. The routes range from 2 to 22km and cover diverse landscape from open moorland and wooded glens to beaches and bare mountain tops, all with OS maps. The emphasis is on short, accessible walks but it is possible to join routes together for a longer trail. 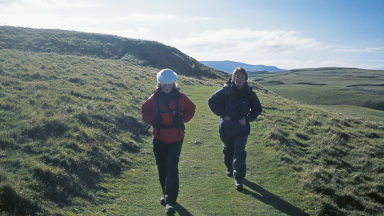 Year-round walking on the Isle of Man is possible, although spring and summer weather is best. April, May and June are driest; May, June and July are sunniest; July and August are warmest. Easy walking, half- to full-day walks. 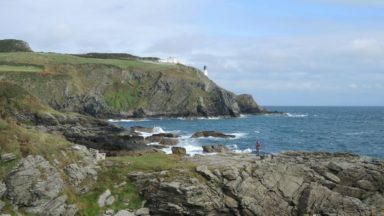 40 half to full day walks on the coast and fells of the Isle of Man are explored in this guidebook. 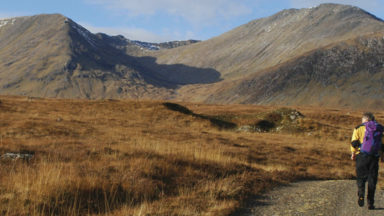 Most of the walks are short and accessible for walkers of all abilities. 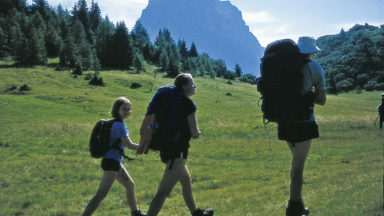 For walkers looking for a greater challenge, there are longer adventures and plenty of opportunities to combine routes. 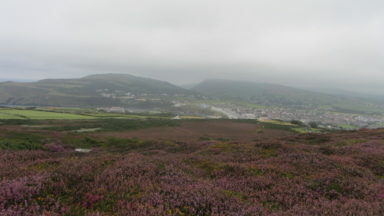 Walking on the Isle of Man is a clear demonstration of an island's ability to pack a diverse range of landscapes and walking into a small area. The Isle of Man is no exception, and the routes in this guide scale mountains like Snaefell, cross wide open moorlands, drift over beaches and scale coastal clifftops. The assortment provides walkers with fantastic trails, along with detail on the wildlife, wild flowers, unique history and points of interest that the walks encounter. Alongside detailed route descriptions and OS maps, there is plenty of practical information on getting to and around the Manx Isle and advice on making the most out of any exploration of the Isle of Man. Be advised that the variant route (in blue on the map) is not a right of way. Please do not use this path. At the junction just south of Doarlish-Cashen, rather than take the route shown on the map (which is not a right of way), take the right-hand path. This guide is the best available to explore the island on foot. This pocket-size, 171 page book, by Terry Marsh matches his other guides published by Cicerone, for their clear, well-researched and attractively presented content. Terry is a historical geographer and his understanding of the origins and history of the landscape add value to the walks that he Describes. The island is a ‘kingdom’ that lies at the heart of the British Isles, from which on a clear day it is possible to see the Republic of Ireland, Northern Ireland, Scotland, England and Wales. At other times there are few distant horizons, the less geographical explanation for this being that the Celtic sea god Mannanan protects it in Mist. 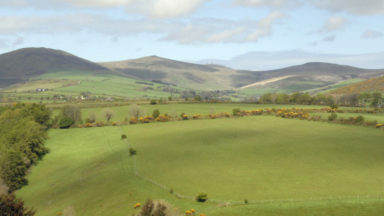 The agricultural landscape is reminiscent of Hardy’s Dorset, with small fields, flower meadows, copses, red-berried hedgerows and mixed livestock; an impression that is enhanced by the steam railway from Douglas to Port Erin, that puffs through the landscape, and by a Victorian electric (tram) railway that connects Douglas to Ramsay. Other towns and villages are connected by an efficient bus service. Walkers do, indeed, step back in time and into a friendly welcoming culture that (being on an island) has a reassuringly low crime rate. It is the perfect size to visit for a week or two. This guide is the best available to explore the island on foot. Whilst there are specialist histories and wildlife guides, plus the usual rather superficial tourist publications, Terry Marsh provides a solid compromise between information and specific walks that are well-chosen for variety and interest. For contrast, visit Bradda Head and Milner’s Tower, to look down on surging sea and choughs playing in the breeze; or Rushen Abbey with its nearby Monks’ Bridge. Built in 1350 it is believed to be the best example of a medieval bridge in the British Isles. Time it right, and you can also watch the World Tin Bath Championships in Castletown! On days when you have tired legs and need a break, there are plenty of alternatives to walking: an abundance of well-presented museums (try the Manx Museum in Douglas and the House of Manannan and castle in Peel), craft centres (eg Woollen Mills in Laxey), arts events at Port Erin, and the attractive historical Gaiety Theatre on Douglas seafront, along which horse-drawn trams operate. All you need now is to book your ferry tickets…. Dr Terry Marsh is a Lancashire-based award-winning writer and photographer who specialises in the outdoors, the countryside, walking and travel worldwide. He has been writing books since the mid-1980s, and is the author of over 100 titles. Terry holds a PhD in Historical Geography and a Master of Arts degree (with Distinction) in Lake District Studies, is a Fellow of the Royal Geographical Society (FRGS) and the Society of Antiquaries of Scotland (FSA Scot), a member of the National Union of Journalists, and an Honorary Life Member of the Outdoor Writers and Photographers Guild.